Nowadays, it’s quite noticeable that technology is a day-to-day part of an event planners’ work life. Planners that we have the pleasure of working with at our event venue in Inland Empire embrace social media and use it quite effectively. 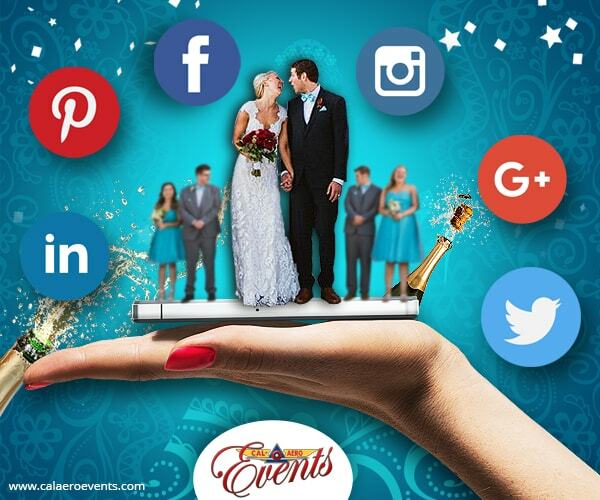 Social media is an incredibly powerful and efficient platform to promote an event or manage attendees whether it is a wedding, private event or a corporate event such as seminar, conference or a trade show. If you currently have a website or a landing page for your upcoming special event, make sure to create an event page on Facebook as well. The event page is an excellent way to invite people to your event and to remind them to RSVP for it. Potential attendees can easily share your Facebook event page with their network. If you are promoting ticket sales for an event, a Facebook page will serve as an additional sales funnel as it’s not always easy to book an event just by having a website. By following your Social Media pages, potential guests can learn more details about the upcoming event and get excited about attending. You can then encourage booking and ticket sales. Also, you can use Facebook ads to target your potential customers who visited your page without making a ticket purchase through retargeting ads. Facebook allows for remarketing, and it is an effective way to reach out to more potential customers. Creating a slide show of your previous event(s) is an excellent way to excite prospective attendees about the upcoming event. Through social media, you can communicate the invested value of the event and describe the benefits of attending your event. Additionally, you can promote the slideshow or video on YouTube, Facebook, and your website landing page. Visual testimonials are magnetic in drawing in your prospects. Record testimonials that capture the atmosphere and energy of your previous events. Seeing and hearing attendees’ words of praise is infectious and will inspire more people to attend your upcoming events. Capture, share and tag fun pictures from previous events. These tagged photos give past attendees an opportunity to talk about their experience at your event and share that information with their Facebook friends who are more likely to attend the upcoming event in the future. Create a single hashtag for your event and share that hashtag across different social media channels. Hashtags are a great way for people to reference your event and share photos and videos from the event. It also allows people to follow what is trending about the event. Don’t forget to update the bio section of your event page with current event information. Place the link to the upcoming event and put the event hashtag in the Bio and About Us sections. Make the same changes to all your social media accounts. You can shoot short videos giving potential attendees exclusive behind-the-scenes footage – these type of videos are very popular and have shown to increase interest and views on event pages. Share the behind-the-scenes video with hashtags across different social media platforms to create a buzz about your event. It helps to nurture an emotional connection between the organizers, attendees and the guests, so remember to respond to all comments and questions. Use the Call-to-Action (CTA) button on Facebook. The CTA button is an effective approach to drive traffic to your registration page and encourage tickets sales or bookings. It is also important to update your Facebook cover photo with a cover banner showcasing the event. Surprisingly, your email signature is a great spot to promote your upcoming event. Tweak the signature line and add a hyperlink or graphics. This small change can create significant interest in your event. As you exchange emails throughout the day, this is an excellent way to reach out to more people about your upcoming event. Looking for a wedding or corporate event venue in Inlande Empire for your next event? Look no further. Cal Aero Events offers private meeting and event spaces for events of different sizes.